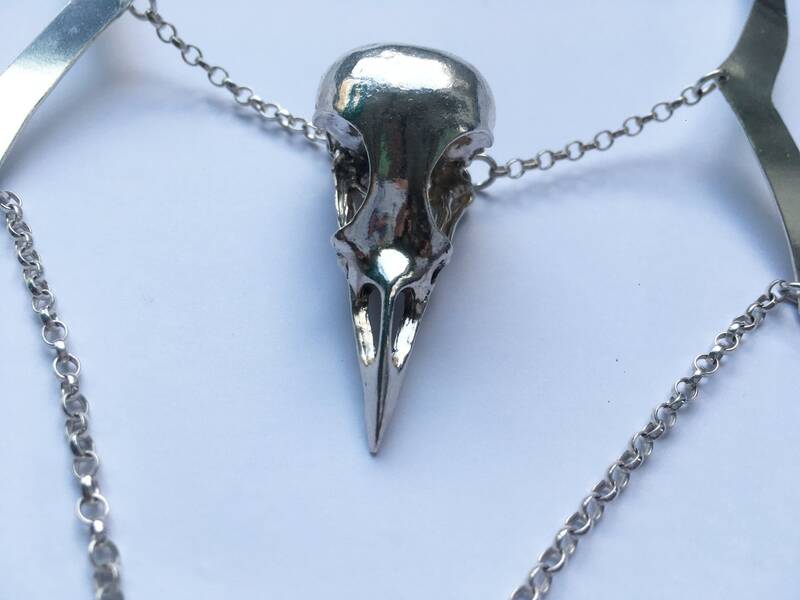 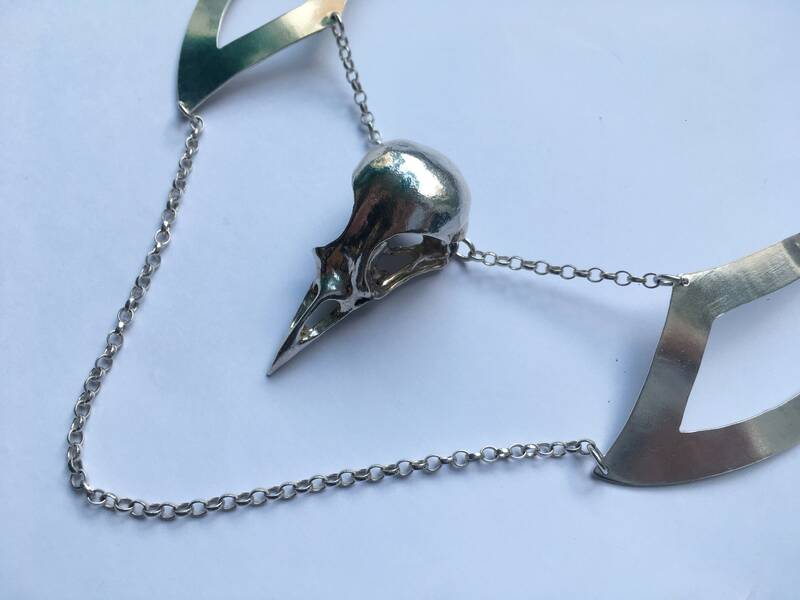 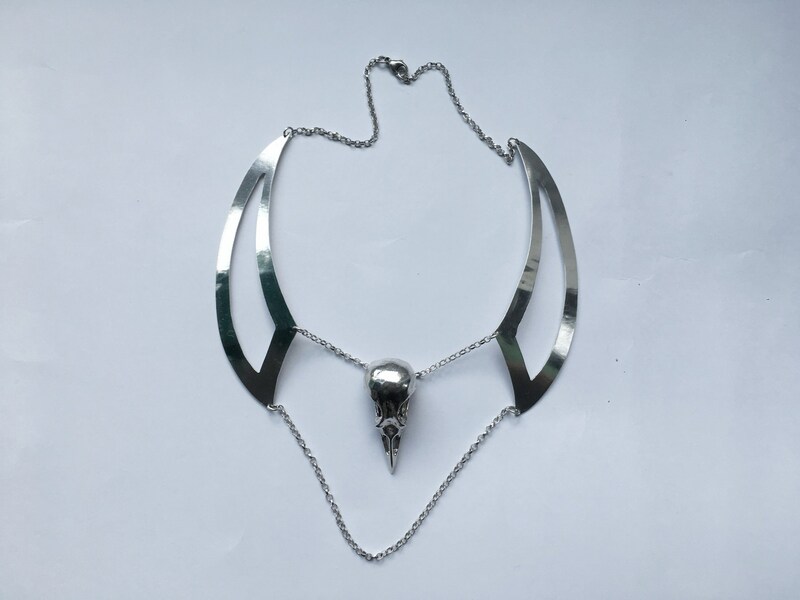 A gorgeous statement piece with a bird skull cast from a real bird. 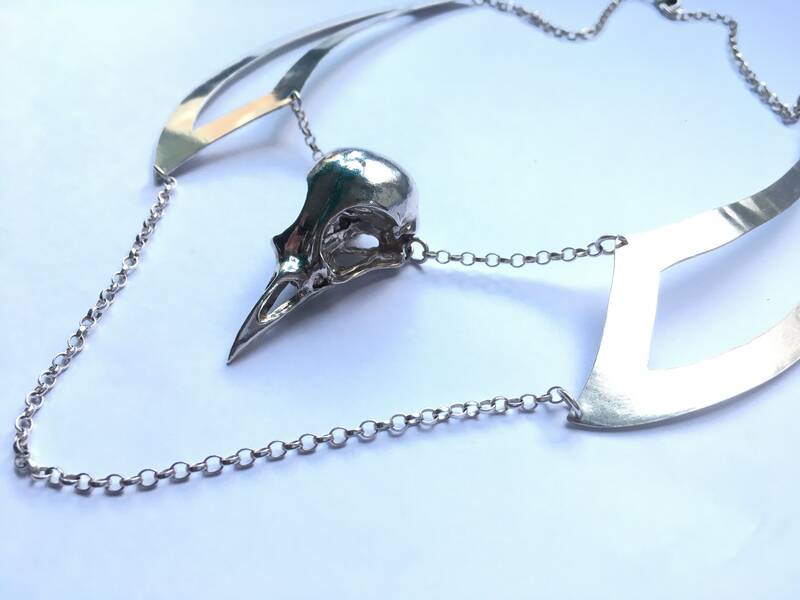 Sits beautifully on your collar bone. 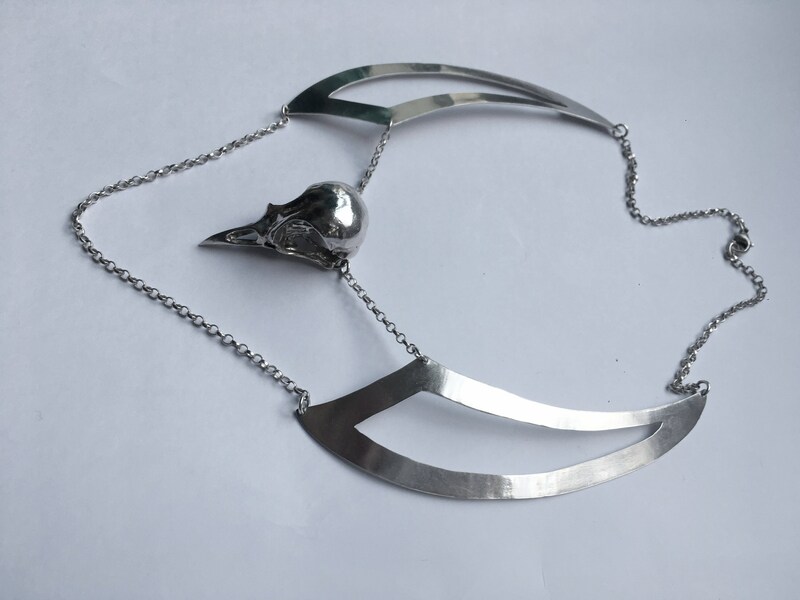 The bird skull is 4.4cm long and 1.9cm wide.